This one is amazing & truly a one of a kind property! 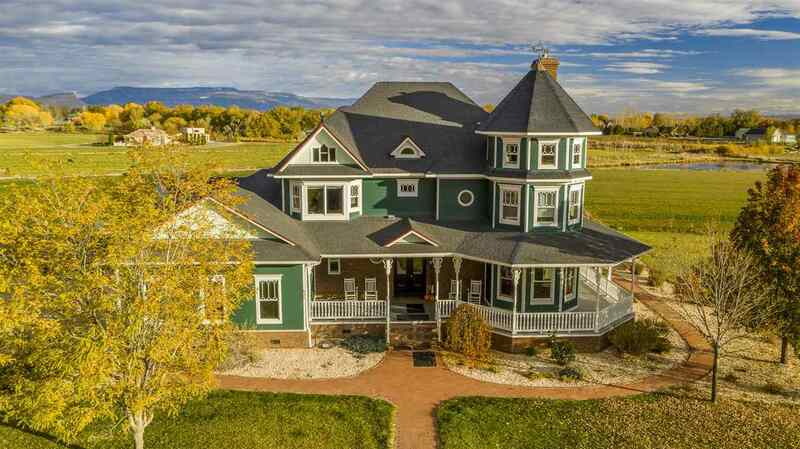 Perfectly situated on 20 acres in the north area, this Victorian home was custom build & designed w/ a perfect mix of the vintage spirit & modern day amenities. You will love the views out over pasture & pond which is home to many species of birds (including a great horned owl), deer, fox & more! The 12 foot deep wrap around porch provides the opportunity to soak in the 360 degree views & acts as extended living space! Literally no detail has been overlooked, I promise. With over 7000 sq ft, 5 beds, 5 baths, a 3 car attached garage & a basement 2 car garage/workshop! The true chefs kitchen comes complete w/ bulter pantry, kitchen pantry, Viking appliances, 3 dishwasher, dual ovens, center island w/ custom made hood vent & breakfast nook! This really is one you must see to believe!